Unlike seeing a regular GP, an after-hours doctor treats you in your own home. This helps prevent the spread of illness throughout the community. If you need urgent care outside of business hours you can call a house call doctor. They provide medical treatment that is 100 percent bulk billed in Australia. If you’re like many other Australians who often feel sick or unwell at the end of the day or the most inconvenient times, then it’s good to know you have access to medical care by a trained professional. It’s not unknown for doctors to do house calls or home visits. Up until World War II, home visits made up a large portion of a doctor’s daily work, as this helped limit people’s exposure to the plague or other prevalent illnesses. Then as we saw an increase in technology used in the medical sector, doctors changed how they work and ditched the home visit. This resulted in the healthcare system we use today, where visiting the doctor’s office is the best way to seek medical treatment. 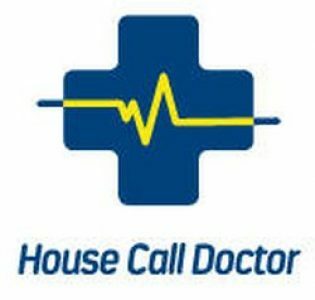 Our home doctor have brought back the house call concept and are now ready to treat modern Australians’ health concerns. Patients with urgent or potentially serious illnesses and injuries make up the majority of after-hours doctors workload. People who need to see a doctor within a few hours, but aren’t serious enough to need immediate medical attention are the kind of patients home doctors treat. All Australians with a valid Medicare or DVA card can see a home doctor free of charge after hours. The most common people who use the service are the elderly or families with young children. When doctor’s visits first went out of fashion, patients turned to their local emergency rooms for urgent and reliable care in the event of acute illness. As emergency room visits increased hospitals struggled to keep up with patient demand and were leaving dissatisfied with the quality and speed of care they had received. After all, the emergency room is designed for life threatening illnesses. Doctors have realised that some illnesses are serious enough to require immediate treatment but are not so serious that a trip to the emergency room is necessary. The biggest gap in healthcare that home doctors have filled is making sure people have the option to see a doctor after-hours. After-hours GPs can treat anything from influenza, bronchiolitis, croup to injuries such as cuts and serious abrasions. Doctors also see a lot of patients with asthma, gastro, aches, pains and sprains. Once a home doctor arrives, you can expect to be examined as you would by your regular GP. You’ll be asked some questions to help the Home Doctor form a diagnosis. Home doctors, like regular GPs, recommend treatment that will help ease your symptoms. If you want to start feeling better straight away, home doctors make sure you can by keeping a small amount of medication on their person. Your regular practitioner is kept in the loop by being sent a report of your symptoms and what illness you were suffering from, so that you can have the best possible continuity of care. Part of the home doctor’s recommendations will include following up with your regular GP the following morning.